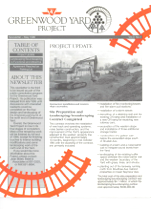 Heather Burke Word Processing Centre, Inc.
Wrote community newsletters and reports regarding expansion of subway car repair facilities at Greenwood Yard. Took photos of work progress for newsletters. Work done through Bidell & Associates. As Doug Lintula expanded his writing horizons, he encountered wide-ranging opportunities for writing and editing assignments through advertising agencies and management consulting firms, as well as with cultural groups, professional associations and educational institutions. Doug has also helped research and public participation consultants carry out community liaison projects. In Toronto, he worked with Bidell & Associates for the Toronto Transit commission to register neighbourhood concerns regarding the expansion of its Greenwood Yard subway-car repair facilities and report on project progress. In Brantford, he aided Robert Hann & Associates with their study for the Ontario Ministry of Health on the community impacts of the city’s charity casino. 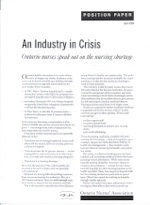 Wrote position paper entitled An Industry in Crisis: Ontario nurses speak out on the nursing shortage. Work done through Public Good Communications. Edited and co-wrote booklet aimed at finding advertisers for CTV’s television coverage of the 1980 Olympics. Work done through Farquharson & Associates Advertising, Inc. Researched regulations and wrote brochure regarding the types of guns and other weapons that visitors can legally bring into Canada. Work done through Farquharson & Associates Advertising, Inc.
Wrote fund-raising brochure through Farquharson & Associates Advertising, Inc.
Wrote season brochure for Toronto theatre company through Farquharson & Associates Advertising, Inc.
Wrote brochures and booklets on scientific and technical careers available in the Atmospheric Environment Service. Work done through Farquharson & Associates Advertising, Inc.
Wrote scripts for three, 15-minute A/V presentations on work procedures for airport maintenance staff across Canada. Created two characters to convey information in short comic-routine segments. Shot all photos required, including those at Toronto’s Pearson International Airport. 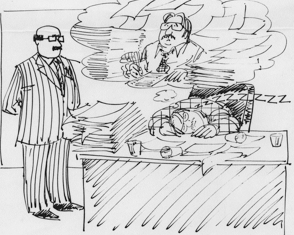 Developed illustrations with cartoonist. Composed and played incidental music on piano during studio production. Work done through Thorne, Stevenson & Kellogg Management Consultants. Doug has contributed incidental music to various freelance projects, and music is never far away in his theatrical work. For his mini-musical Gallagher, he wrote both music and lyrics for seven songs to help tell the story of a household cat that runs away from home to seek fame and fortune as a writer in the Big Apple. The show was staged at the Alumnae Theatre in Toronto as part of its 2003 New Ideas Festival. A longer version is in the works. 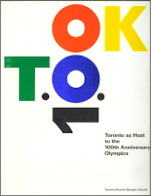 Edited and co-wrote proposal, Toronto as Host to the 100th Anniversary Olympics. Work done through Cresap Management Consultants.